Your family’s safety is simply more than just responsibility. In fact, you should regard it as one of your greatest life’s priorities. With statistics indicating that as many as 1.1 million people fall ill each year due to drinking tainted water, ensuring that all your family members are protected from all the health risks associated with unsafe drinking and usage water is of utmost importance.While much of today’s tap water may be drinkable, it may not have the pleasant taste that is should have. While you have the option of buying bottled water which most people presumably think is better than tap water, you have an even better alternative to get drinking via the use of reverse osmosis system which will improve its taste, make it safer and allow you to provide that needed protection for your family. In fact, this method has numerous benefits other than making the water taste great as highlighted below. Have you ever filled your glass with tap water? Then you can attest to a somewhat strange test and even weird smell from the unfiltered water that comes from drinking tap water. 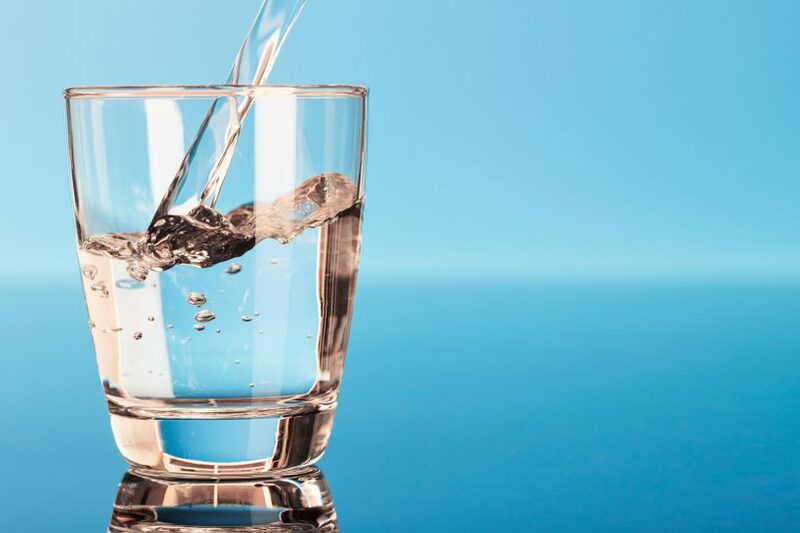 By filtering the existing contaminants in tap water such as iron, chlorine, hydrogen sulfide and many others, you can get healthier and better tasting water which will actually encourage you to drink more of it. Further, since it is usually advised by doctors that the average person should make an effort to drink at least 8-ounces of drinking water on a daily basis, you’ll be making it much easier to achieve this which will additionally keep you healthy and hydrated. Due to the numerous filtration options at your disposal, filtering water at home is usually very easy. Using a reverse osmosis system can allow you to access clean and fresh drinking water rather than continue taking tap water and giving the same to your family members. In fact, the reverse osmosis water system is very advantageous as it needs very low maintenance. All that you need to do is change the filter periodically. Further, another great benefit to using this method is that it has only one filter instead of two separate water filters. All that is required of you is to replace the single filter either once or twice yearly. More so, you need not purchase any bottles of drinking water or change the mounted faucets installed in your kitchen. All you need to replace is the one filter – once or twice every year. As simple as that! While you might presumably think that tap water is safer and cleaner, it is actually dirtier than you probably realize. This is because tap water travels through several pipelines all through the city to get to your house and in the process picks up various contaminants along the way. Further, even though bottled water is also deemed as a safer alternative to tap water, it still has about 25% of tap water in it and the fact that bottled water can absorb chemicals from the bottle it is packed in only shows that you can also contaminate your body upon its consumption. Thus, even though it usually gets disinfected and fortified prior to getting to your taps at home or at the supermarket shelf, you cannot be guaranteed 100% that the tap water and bottled are safe for drinking. However, reverse osmosis can eliminate the dangerous volatile organic compound as well as chlorine and its by-products while still preserving the healthy minerals and provide you with clean drinking water. Generally, purchasing bottled water is very expensive and consuming tap water is very risky as it can lead to health problems which can lead to an increase your medical costs. With statistics indicating that consumers on average spend over ten billion dollars on bottled water on a yearly basis, there is a need to look for a better option. This is further compounded by the fact that news has shown that bottled water is simply filled with tap whatever irrespective of the city this filling has been done in. Thus, continuing the consumption of bottled and tap water is simply not an option. You need to avoid all these costs and risks associated with drinking tap and bottled water and have peace of mind knowing that you are not drinking the city’s tap water by using reverse osmosis for your drinking water. Everyone wants clean and safe drinking water, that’s a simple fact! According to The Pacific Institute estimates, approximately seventeen million barrels of oil are required yearly to produce water drinking bottles for U.S. alone and a fleet of 40,000 18-wheelers to ensure their delivery on a weekly basis. With these statistics, it shows that less than 40% of those plastic bottles actually get to be recycled which is very hazardous to the environment. Generally, access to clean water is very important to every family. This is because water is needed for cooking, drinking and other purposes such as washing, brushing, and bathing and the lack thereof can lead to serious health issues. In fact, waterborne diseases can crop up with consuming tap water and the fact that statistics indicate that over 1.5million of lives are lost every year due to waterborne diseases, there is a need to take proper care and choose the water you are using very seriously. To be able to live comfortably, you need to ditch the plastic bottles and begin drinking clean water which will preserve your family’s health and create a more sustainable environment. Water which has undergone reverse osmosis is the best choice for your entire family. All the advantages listed above are for you and your family to grab so you shouldn’t think twice especially when it comes to your overall health and that your family. It will allow you to experience a huge difference and the best thing is that you will not have to spend huge amounts of money on a monthly basis to access clean, fresh and safe drinking water. Thus, make the right choice today and use reverse osmosis for your drinking water!